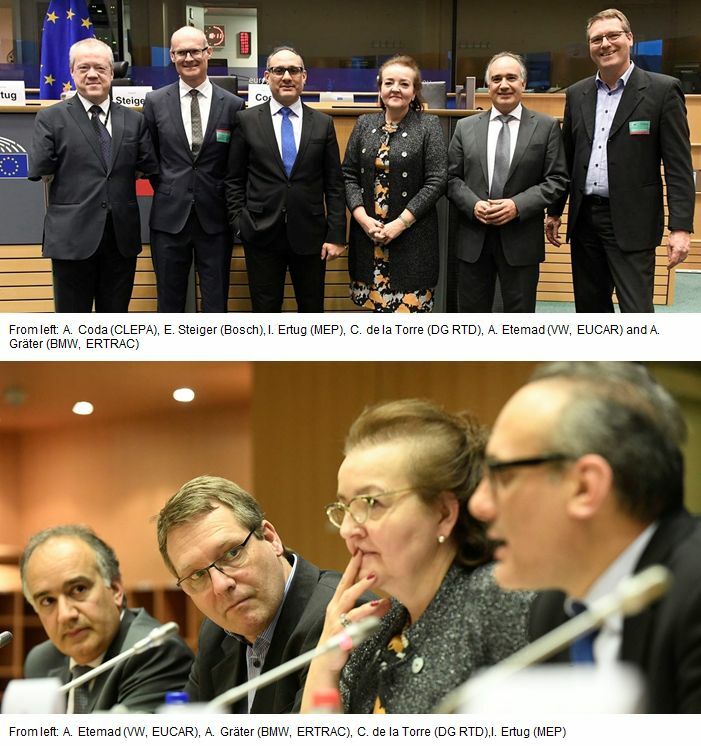 On 7 March 2018, EUCAR participated in the Driving Future Platform event at the European Parliament. In these workshops, organised by MEP Ismail Ertug, relevant stakeholders came together to discuss future vehicles and mobility. The importance and relevance of research funding to advance connected and automated driving was discussed. Aria Etemad (Volkswagen Group), EUCAR Expert Group leader for automated vehicles, presented the European flagship project L3Pilot. 13 auto manufacturers participate currently in this EUCAR initiative, the biggest large-scale pilot for SAE Level 3 automated driving functions, with 100 test vehicles in 10 European countries with 1,000 test drivers experiencing automated driving.